At the age of 5, Chang moved with his family to Carson City from South Korea. Grown and raised in Carson City, he has called Northern Nevada home ever since. After graduation, Chang proudly served in the US Army for over six years as a Power Generation Specialist. After military service, Chang earned a Bachelor's Degree in Finance from the University of Nevada at Reno and made Reno his home. Upon graduation, Chang started and operated a successful small multi-location retail business in the region for 18 years. Chang's military and academic training combined with his understanding of starting and owning a successful small business gives him a unique perspective to help his clients meet their real estate objectives. 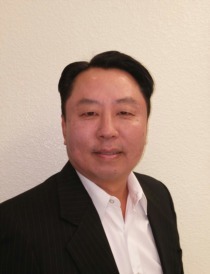 Chang is dedicated to providing timely and professional service to his real estate clients. Chang lives in South Reno with his wife and 2 boys, 6 and 8 years old. Chang loves to golf, fish and spend time with his family. Chang is a member of the Reno-Sparks, Nevada, and National Association of REALTORs.